Located in the center of the six ancient water towns south of Yangtze River, in the Chinese province of Zhejiang, Wuzhen is the most beautiful with over thirteen hundred years of history displayed through its ancient stone bridges, stone pathways and delicate wood carvings. The town lies on the Hangzhou-Jiaxing-Huzhou Alluvial Plain on the banks of the Beijing-Hangzhou Grand Canal, an elaborate waterway built and expanded over a thousand years to facilitate exchange of produced goods and culture between the northern and southern regions of eastern China, before the invention of railroads. The river and canals that crisscross across the town are flanked with ancient residential houses, workshops and shops, built on raised platforms of wood and stone pillars. 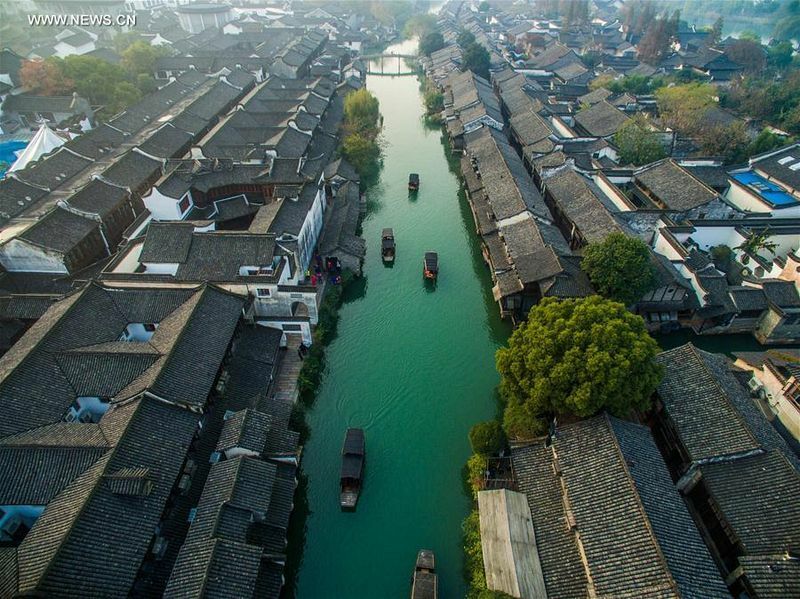 Most of these riverside houses were built during the 14th century Ming dynasties.